Home Wiki How can I see the wiki assigned to me and approve them? 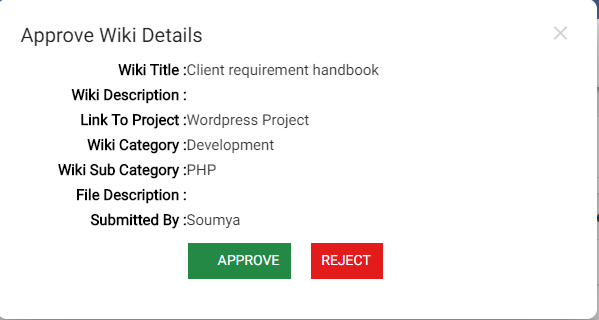 How can I see the wiki assigned to me and approve them? Navigate to ‘Assigned to me’ You will find the wiki(s) assigned to you. Click on under Action column.